This is a program specifically designed to help office staff and back office team to discover their confidence, realise their potential, build their dreams, create action plan to increase their productivity and develop a sense of High Performance Attitude. Mr. Mohnish Nair’s training programs are highly inspiring, thought provoking and interactive. He believes all humans are born to accomplish a purpose and his only aim is to help organisations and its people to transform themselves for superior performance. Over the past 8 years, Mohnish Nair has personally coached and trained thousands of Business Owners, Sales Executives, Professionals and Students to perform at their peak state. It’s time to Build your dream team with this unique program! 5 Sessions, 3 Hours Each, Once every Week. Fee : Rs. 15000/- for 5 Sessions. If you wish to have this program in your organisation, Contact us here! 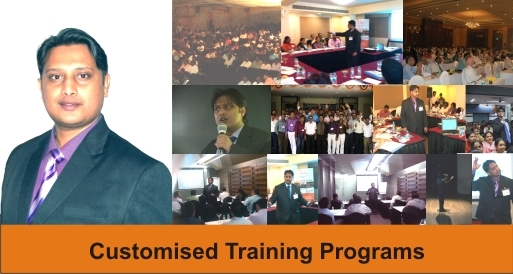 Maple Dreams conducts customised training workshops for SME's and Corporate teams on a variety of subjects.